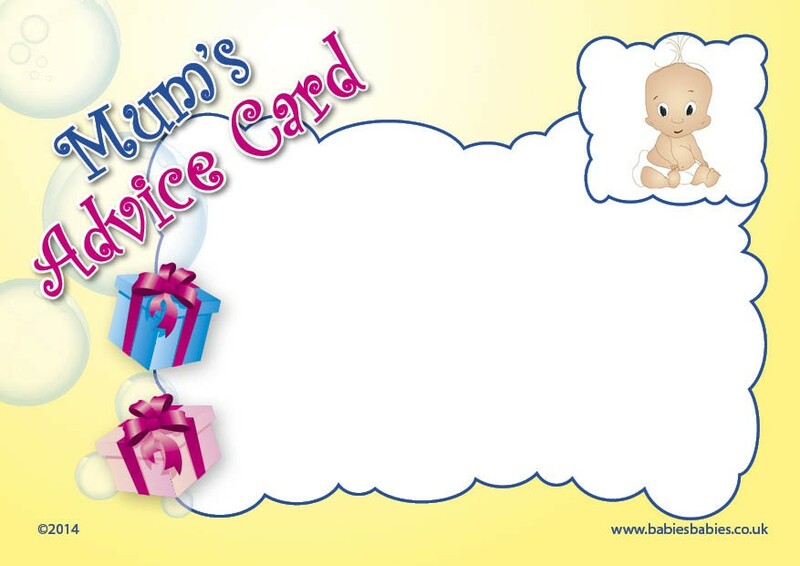 Advice cards are great to write on comments to the mum to be or dad to be and present at a baby shower. A fun thing to do at the Baby Shower! We offer white baby, ethnic baby designs for mum and dad as well as cards for expectant twins.